Is There Such A Thing As Hospital Anxiety For Parents? Hospital Anxiety – Is there such a thing? I personally hate hospitals. We are so lucky that we haven’t had many hospital stays compare to others, but we have lots of hospital appointments. Some appointments are just routine – Mainly myself updating the professional. Some appointments are positive appointments where we hear some good news, or will find something to new to try or the best ones where we celebrate progress. Those dark appointments are the ones that haunt me during sleeping hours. They overwhelm me on the days leading up to the next appointment. These dark appointments shadow over me and almost suffocate me when sitting in the corridor or a waiting room. I hate hospital corridors. The smell of hospital seem some how stronger in those corridors. What don’t I like about corridors? I have spent far to many hours walking or in some cases running up and down corridors. 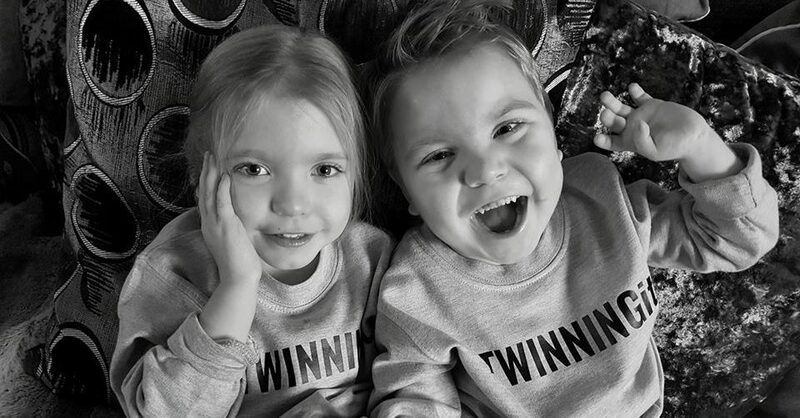 When the Twins were in NICU walking down the long corridor to the unit made me feel sick, not knowing what you may find, what the day would bring. Or rushing down the corridor after an emergency situation. Walking back up the corridor was equally as painful, leaving your babies behind was heart wrenching. You sit full of apprehension in those corridors (or waiting room) for your child’s name to be called. The worse is being put back out into that corridor after a new development is found, waiting for a higher professional to confirm or explain a further new diagnosis. You sit there in shock trying to comprehend what you have been told, while prying eyes of strangers stare at you, as you fight back tears to keep it all together. I hate losing myself in front of professionals. In my experience if you do that, then the Doctors treat you differently. They fear those tears. They stop being so blunt, they try to sugarcoat information in fear of having an uncontrollable parent on their hands. I do prefer bluntly honest Doctors (But obviously compassionate and kind too) who say it how it is. These Doctors seem to also like plan. I cope much better when a plan is in place. I am a girl who likes a plan. Unfortunately Owen is a boy who likes to surprise us (Not always in a good way) who seems to always have a twist in the tale. Some days we feel ready for this or just pretend we are. Being strong in those moments is exhausting. So as Thursday approaches, The day of Owen’s upcoming Hip abductors release surgery, I am feeling all the anxiety start to build up in my body to the point of eruption. *****Just to note – I will blog about this surgery and experience in some way ,at some point. I also truly realise that Owen’s Hospital anxieties totally trump mine and will also write about that too. I just wanted to take a moment to address my own anxieties because a) Writing helps me b) Maybe someone else may benefit from me sharing this. Also I am not putting my anxiety on a par with those who have a medical diagnosis of Anxiety. Trying to break down what I am most worried about may help me keep it under control. Obviously the main worry is the operation itself. Owen going under anesthetic. When he was tiny he didn’t cope well with this and went to ICU. I am trying to draw strength from his last Operation which was Major Surgery to fix his Malrotation of the Bowel (another shock diagnosis) as well as his Gastrostomy Insertion. Here he didn’t end up in ICU but to HDU. Knowing he is in a good place health wise, he has put on all his previously lost weight must be all good. Argh!!! even writing all this is making me anxious. Maybe writing before the event is not the best choice. I leave this here for now.2. Getting home. I always seem to be jinxed about getting discharged. I don’t mean when we are not ready to go home. I mean the period between when the Doctors say we are ready for discharge and the actual official discharge happening. We always seem to have delays. We are either waiting for something to happen i.e To be signed off for Feeding Pump Training. The doctor forgetting to sign the discharge form, Or something else is not ready like Equipment not being ready for home, waiting for medicines to come through. The equipment not being ready may play a major part in a delay of us coming home this time. I spent most of yesterday trying to make sure this won’t happen.3. Sleeping overnight at hospital; Those chair beds are not comfy, Lights out a 8am, You have a poorly child to look after in very hard circumstances, You can’t leave his side as you are not only his parent but his carer and advocate. Owen’s hospital anxiety and his sensory issues go through the roof when he is in pain which is very upsetting. You also pray for nice staff. I have to say I normally get on so well with all of the staff that look after Owen and they do indeed make my stay so much easier. They are on the whole amazing, But you always do get that one. As a Mother to four, I hate to be away from my other three girls. I always feel like I am letting them down and my heart completely feels split four ways. Organising child care can be stressful and always takes so much time and planning, despite however much is planned it still always feels all up in the air. I know my girls benefit for their routine to be as normal as it can be. With all their clubs this is a hard task. This time however Lilly (10) has been particularly upset about her brothers upcoming Hospital stay. I have had a chat with her school and they are going to arrange some counselling for her. I think this maybe a way forward in general. It is easy to forget how hard it must be for them to have a sibling with special needs. They all have to endure so much on a day-to-day level that when changes like this come in I do worry how the extra stress of it all will affect them. I am not sure I can write much more on this, in fear of working my head into a complete frenzy. I will keep you updated on our stay. I am sure you all send your best wishes to Owen. I completely understand how you feel as a parent, strangely as a patient going into hospital almost feels like ‘going home! However as a parent it is completely different and is such a stressful time.